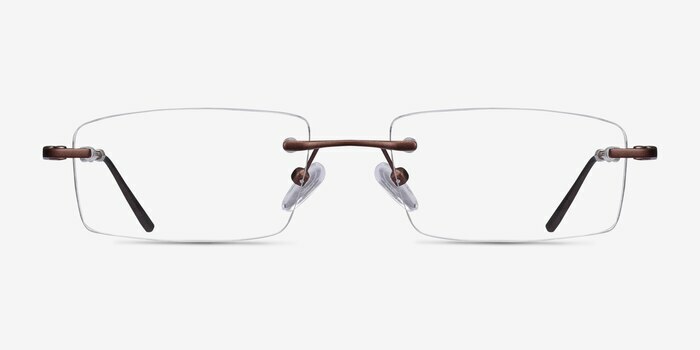 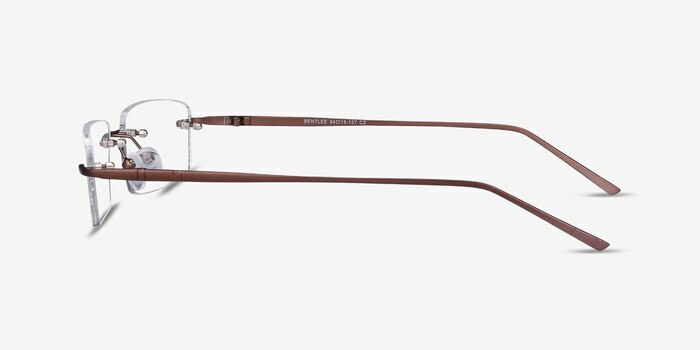 These coffee eyeglasses are minimalist and modern. 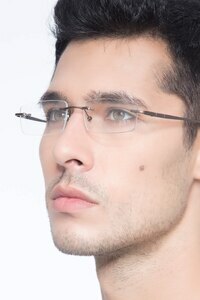 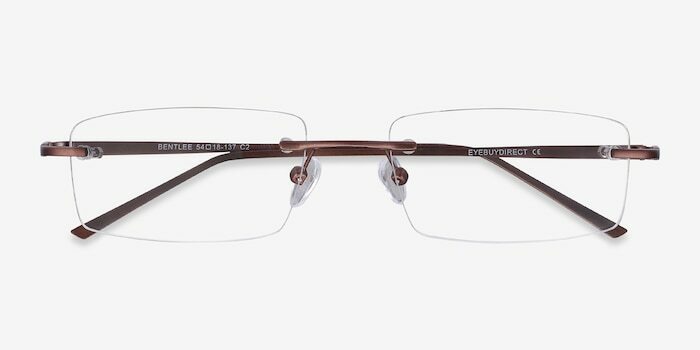 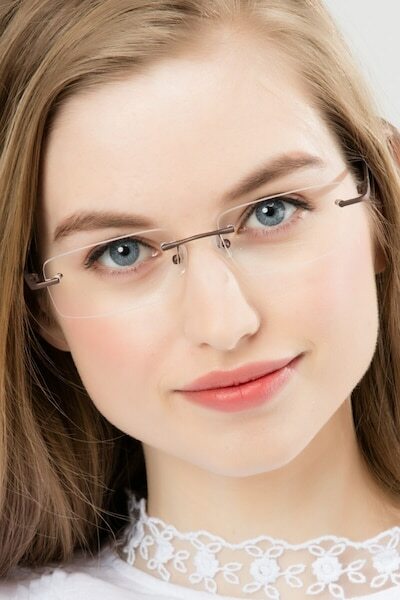 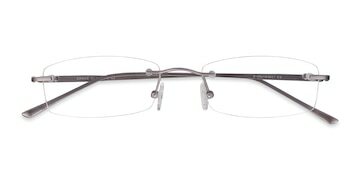 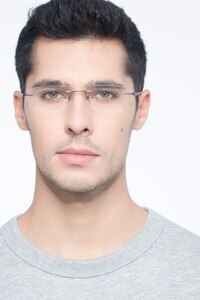 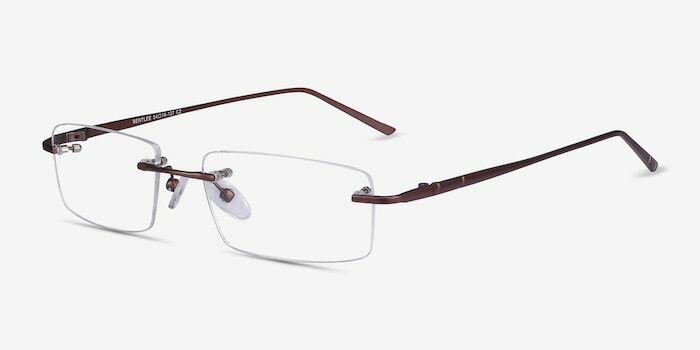 Thin brown temples perfectly contrast this simple rimless style. 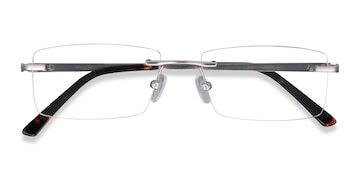 These glasses feature curved rectangular lenses and adjustable nose pads for extra comfort and customized fit. This unassuming look is suitable for both men and women. 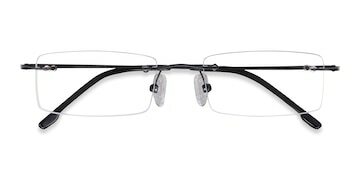 I wear thes more frequently than my $500 Raybans!